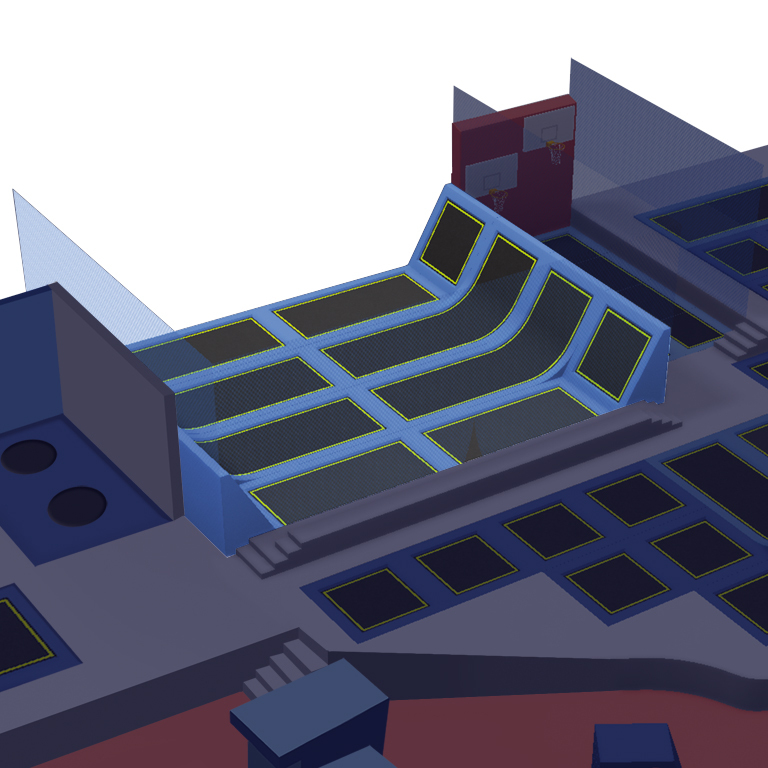 Welcome to the latest trampoline, parcour- and freestyle park! Whether you’re big or little, old or young, ANYONE can have loads of fun in our fully air-conditioned 2,500 m2 park – there’s guaranteed to be something there for everyone! Lots of attractions await you at FLIP LAB Vienna, including fun trampoline areas, a dodgeball court, airbags, wall walk trampolines and half-pipes, a basketball trampoline area, freestyle trampolines with bounce boards, skis, and even bungees, an action zone, high-quality and performance trampolines, a parkour and ninja warrior area, climbing walls, and slacklines. 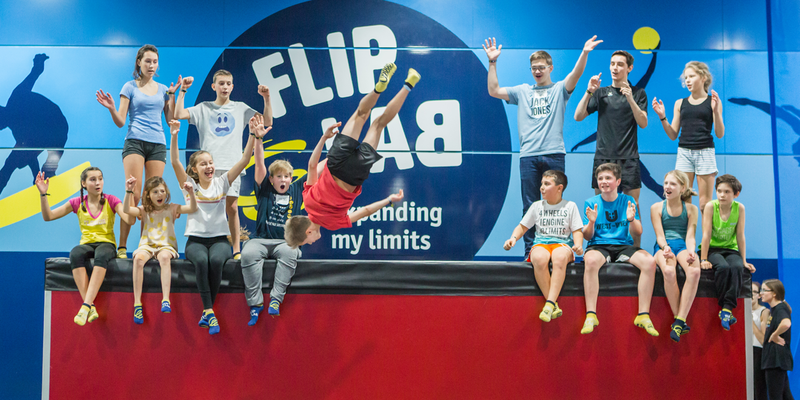 Whether you’re a four-year-old budding jumper, a flip virgin, an experienced freerunner, dodgeballer or wakeboarder – your visit is sure to be the ultimate experience! 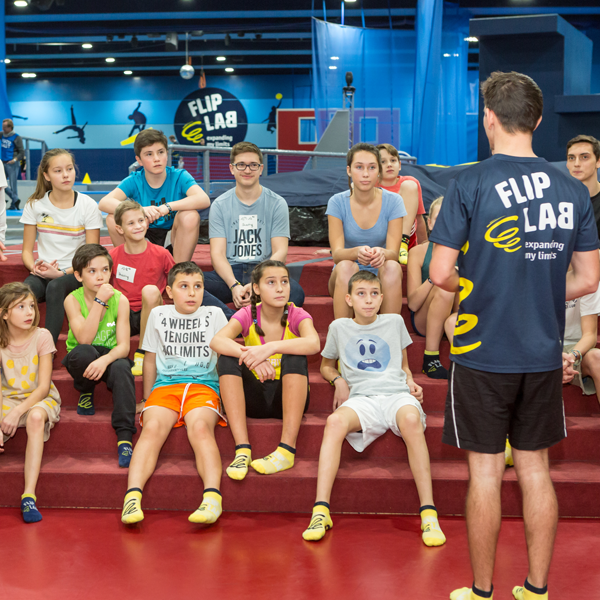 A world without gravity is only as good as its customer service and the expert advice of a well-trained and competent team – we offer you both at FLIP LAB Vienna. Gleich am Eingang wartet der Umkleidebereich, eine Aussichtsplattform für Deine Begleiter und der Zugang zur Halle. 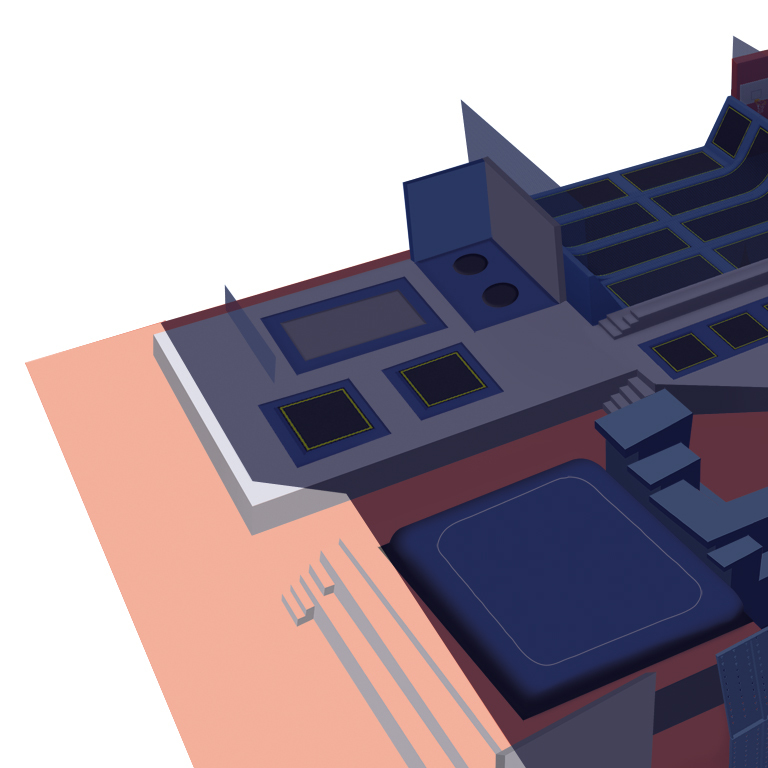 Mit dem Spacecurl, den Bungee Trampolines und den Interactive Trampolines abheben! Keine Gnade für den Gegner! Beweise Dich in adrenalingeladenen Dodgeball Matches und zeige Dir und Deinen Freunden, dass du ein echter Siegertyp bist. Auf den Basketball-Tracks kannst du die perfekten 3-Meter-Slamdunks spielen. In der Action Zone schlägt dein Jumper Herz höher. Von Trampolin zu Trampolin geht’s bis nach ganz hinten zum großen Airbag– rein in die Action! 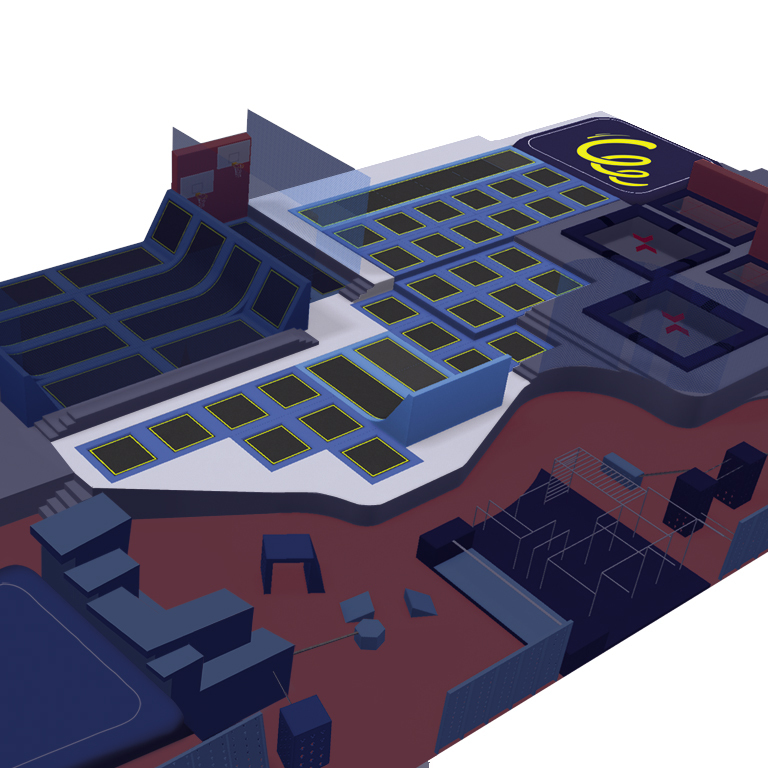 Olympiatrampoline, Wallwalks, Bungee-Longen, Bounceboards & -Skis, Trampolin-Halfpipe und noch viel mehr gibt es in der High Performance Area um noch höher rauszukommen! In der Parkour Area vermitteln wir Dir Grundlagen des ästhetischen Fortbewegung-Sports und bauen deine Skills gemeinsam aus. Ninja-Warrior wartet auf Dich! Children under the age of seven must be accompanied in the park by an adult, who has free admission. The FlipBoards, FlipSkis and bungee can be booked at the park for €5.00. Your FlipSocks cost €2.50 and must be worn in the park. Valid on all days at all times! Groups & Celebrations Let’s Party Together! 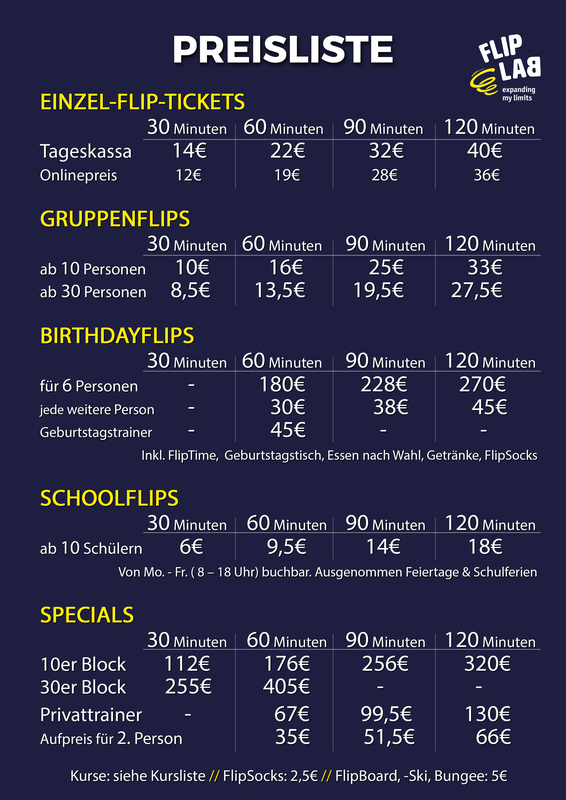 Hop into the next year of your life with us and celebrate your birthday at FLIP LAB Vienna! 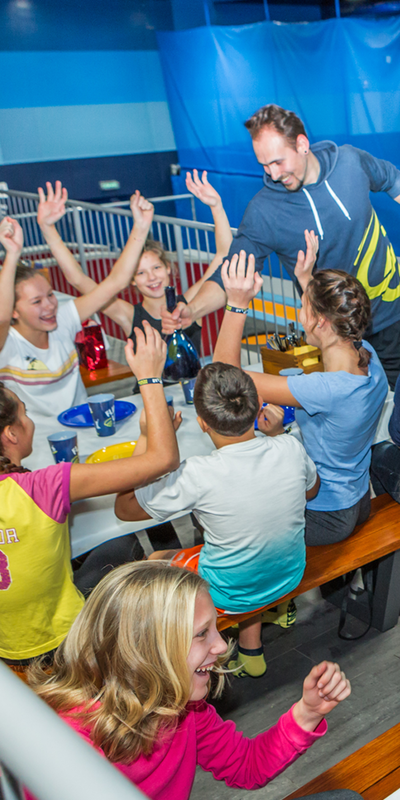 After your FlipTime with your friends, you’ll find a birthday table for six or more people filled with food and beverages. 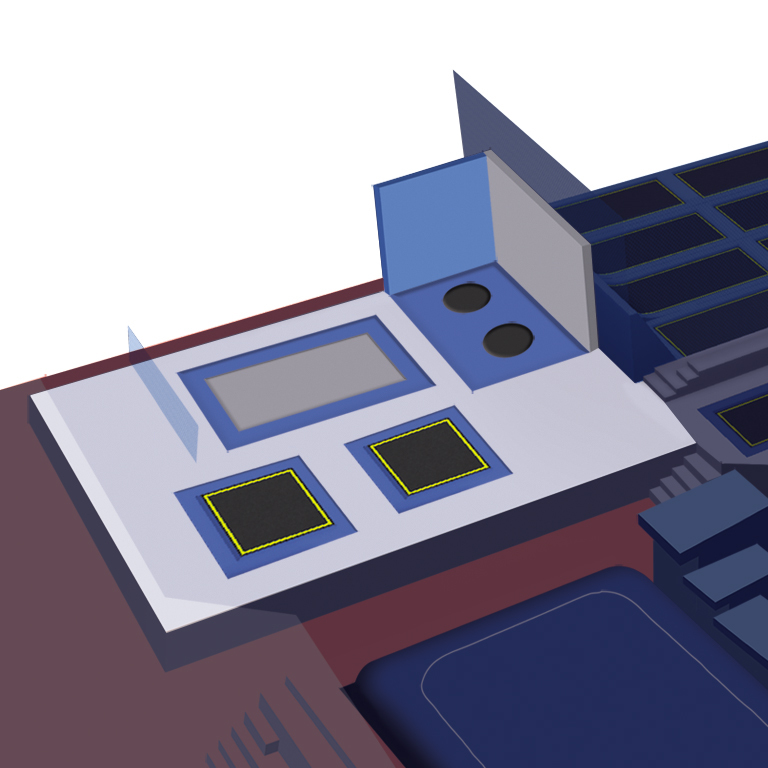 The FlipSocks are, of course, included. Celebrate with family and friends! Come on by with your entire class and take advantage of the special school price. SchoolFlips are available Monday to Friday even in the morning. This price is not valid on weekends, school breaks, or holidays. The ultimate school sports experience for everyone! 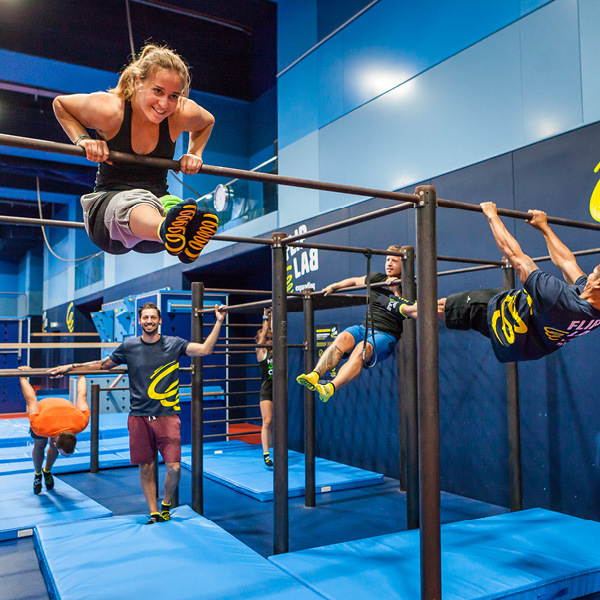 Are you planning an outing with your friends or your sports club, do you want to romp around in a whole new way, or are there at least ten of you who are simply looking to burn off a little energy? 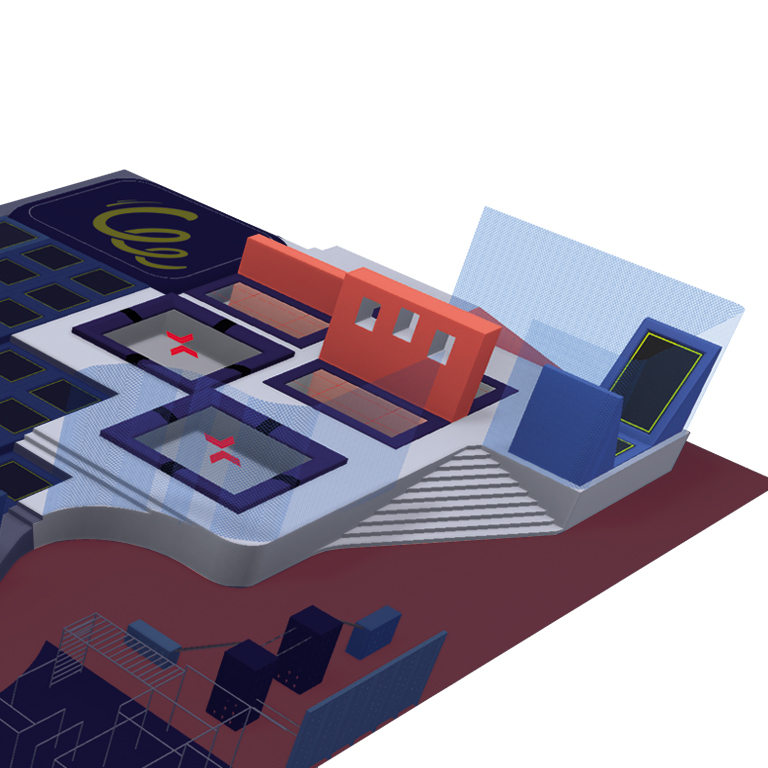 Then come to the most modern trampoline, parkour, and freestyle park for a jumping good time! Bouncing and laughing together is not only good exercise, but also boosts team spirit and motivation. The perfect team outing! You can retreat to the meeting room for important discussions. Learn your first high jumps, turns, and even flips and twists with our Flip instructors or with the state champion in trampoline jumping. We’ll show you how it’s done! Here we’ll show you how you can overcome your obstacles efficiently, spectacularly, and in your own way. 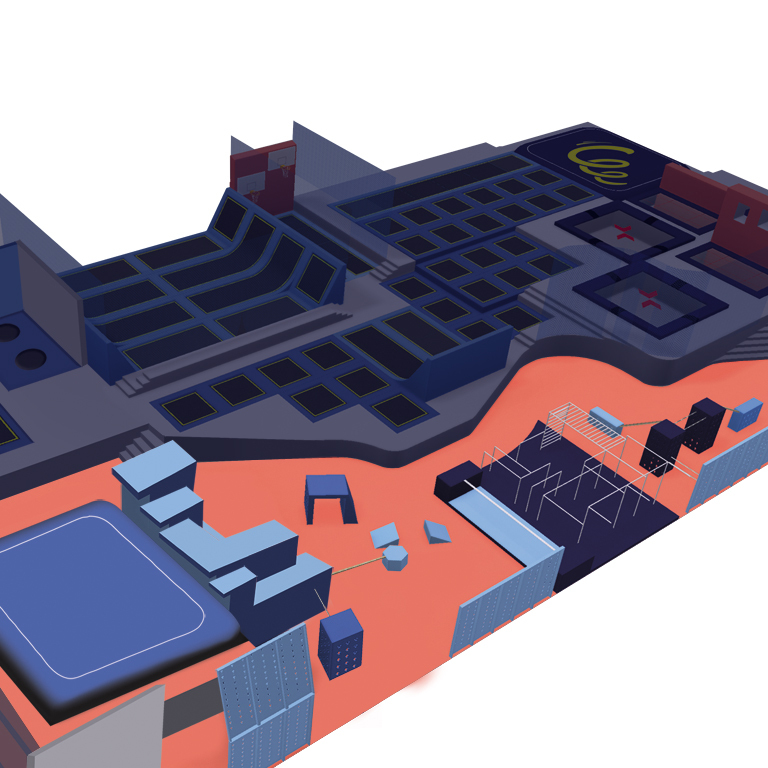 Our ninja warrior parkour and a whole host of obstacles, walls, and ramps offer you the perfect parkour area. Do you want to learn these calisthenic skills and vastly improve your body control and strength? We’ll show you how it’s done and guide you to your goal with the right exercises. Fun and sore muscles guaranteed! Every Thursday from 6:00 to 8:00 p.m. Simply use with online booking the booking code „30student“ an receive 30% discount. The Bundesliga team Vienna DC Timberwolves made a guest appearance at FLIP LAB Vienna on August 28, 2018. The ultimate jumping experience – Flip in the dark! EVERY FIRST FRIDAY OF THE MONTH! Light show, lasers, beats, action, and a whole lot of fun! DiscoFlip: 6:00 to 9:00 p.m.
You can choose the DiscoFlip time that works for you, from 30 to 120 minutes. Online price: starting at €12.00 for 30 minutes. WHERE ARE WE?JUST 2 MINUTES FROM THE TRAIN STATION WIEN SCHWECHAT! 2:00 p.m. – 8:00 p.m.
We can also open in the morning for school classes and groups. Are you not interested in just standing off to the side and watching everyone jump? Do you have helpful tips that you’d like to share and think you should be compensated for your efforts? If so, then you’re at the right place! 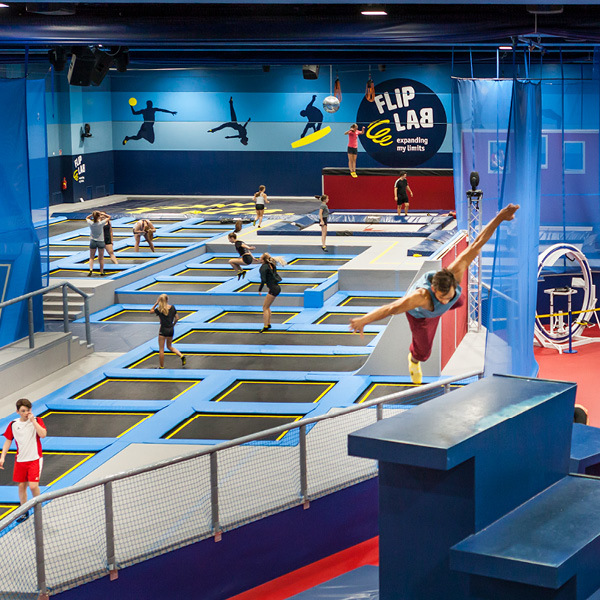 We’re always on the lookout for qualified employees to offer first-class service in our trampoline, parkour, and freestyle hall. 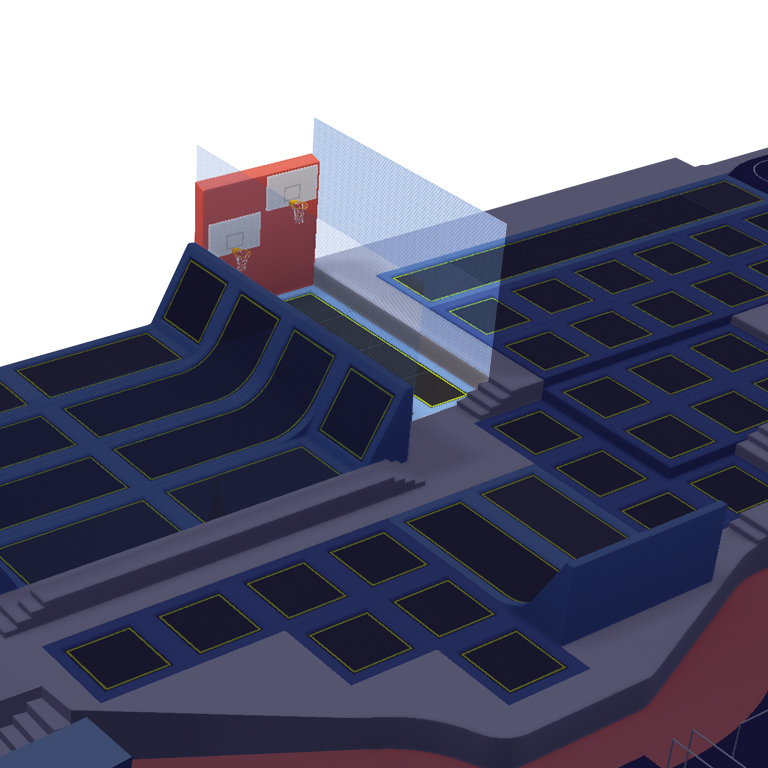 Jump right in and peruse our available positions. Photos of our FLIP LAB park, events, and more. Damit Sie unsere Website optimal nutzen können, speichern wir Informationen über Ihren Besuch in sogenannten Cookies. Durch die Nutzung dieser Webseite erklären Sie sich mit der Verwendung von Cookies einverstanden. Nähere Informationen erfahren Sie in unseren Datenschutzbestimmungen.